Warsaw University of Technology Business School's programs offers a unique cross-cultural and interactive challenge. Students are virtually guaranteed excellent career opportunities in the international arena. The quality of the degree and its international standing are ensured through the participation of Warsaw University of Technology and some leading European business schools: HEC School of Management Paris, London Business School, NHH - Norwegian School of Economics and Business Administration in Bergen. The institutions develop mutual cooperation with particular focus on EMBA students mobility scheme. The scheme encourages students‘ exchange in the EMBA programs, thus results in opening broader opportunities of interaction among peer students s and building wider business network in the region and beyond. 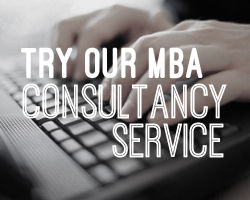 MBA studies offered by the Business School are one of the oldest programs in Poland and leading in rankings of Polish MBA programs. Executive MBA program was awarded the most prominent international accreditation for EPAS programs by EFMD (European Foundation for Management Development), an organization grouping leading business schools worldwide. The accreditation proves the highest international standards of training. The School benefits greatly from the assistance of numerous other institutions and companies. Accenture, Centertel, Deloitte, Hay Group, IBM, Hewitt, Oracle, PricewaterhouseCoopers, Procter&Gamble, SAP are among those major companies operating in Poland which have shared their experience with us. They have often collaborated in the production of "live" case studies, helping establish the right balance of theory and practice. Fill out your details to get in touch with Warsaw University of Technology Business School and find out more about their programs.